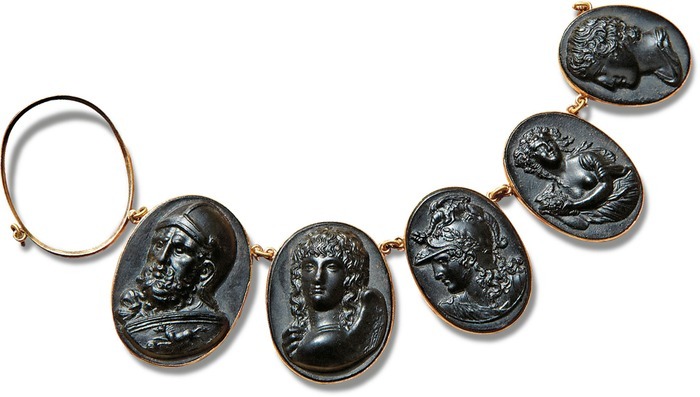 The head of the Buccellati(see previous) jewelry family, Gianmaria Buccellati has died after a period of sickness. It wasn't until reading the notice that I realized that his brother is is Georgio, who has published one of the best modern Akkadian grammars, A Structural Grammar of Babylonian. Both are for sale at Sotheby's(see previous) Feb. 4 auction in New York. 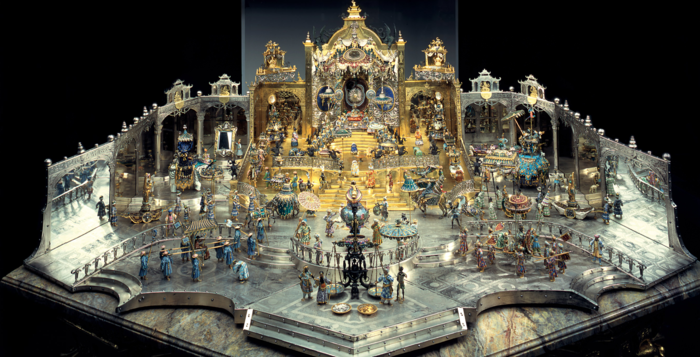 One of the towering achievements of the Baroque jewelers of the early 18th Century, The Throne of Grand Mogul Aurengzeb is an assemblage of 132 figures and 32 other objects in enameled gold. It was designed by Johann Melchior Dinglinger and constructed between 1701 and 1708 by him and his two brothers, Georg Christoph and Georg Friedrich. 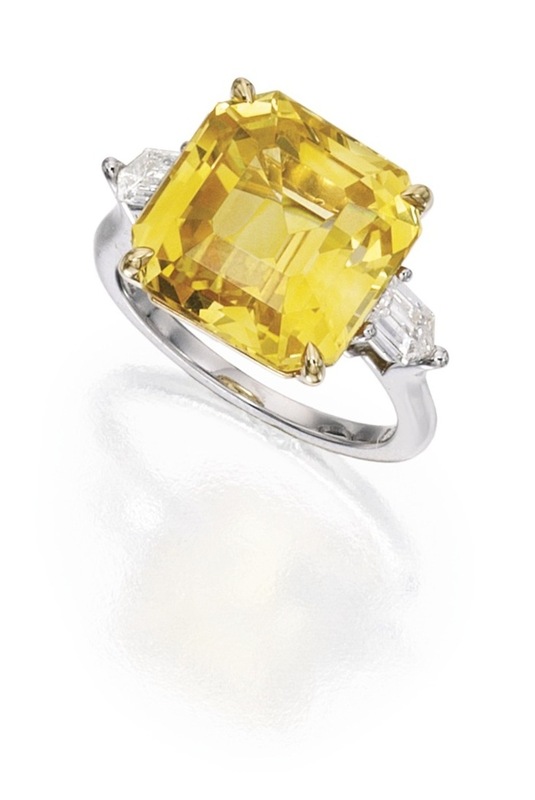 Despite loosing 391 precious stones over the years it is still set with 4,909 diamonds, 160 rubies, 164 emeralds, one sapphire 16 pearls and 2 cameos. The google art project has a zoomable image of it, though the image isn't as sharp as one might desire at full zoom. 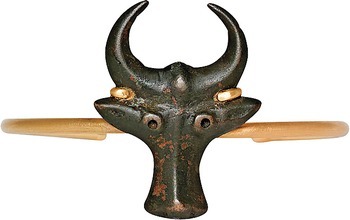 It is housed in the historic Dresden Green Vault Museum, itself only recently recovered from damage suffered in WWII. 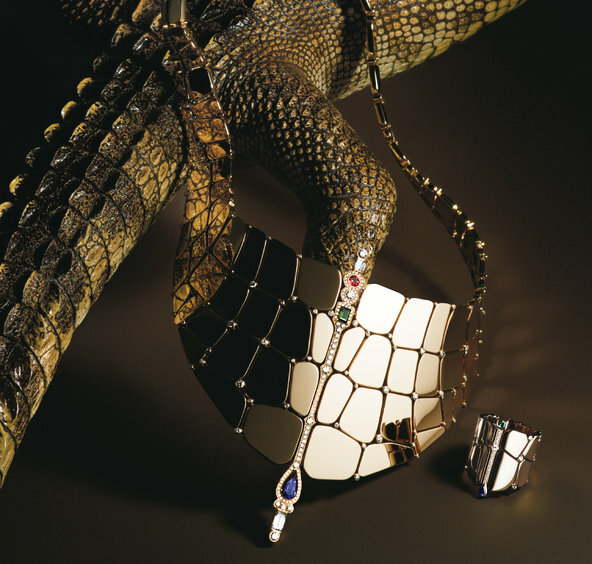 The nile crocodile is said to be the inspiration for the new Hermes (see previous) necklace and ring set. It's at least clearly the origin of the name, Niloticus, for Pierre Hardy's newest design. 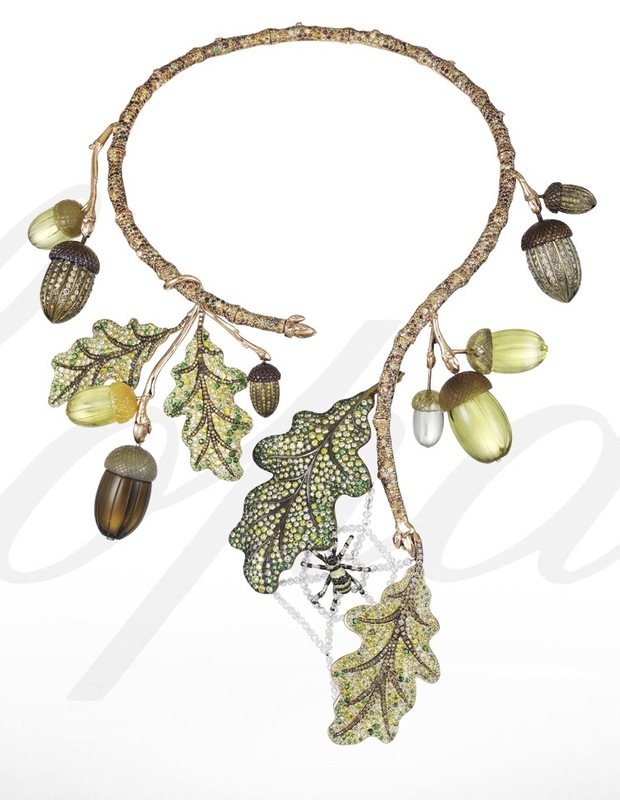 The necklace consists of 112 rose-gold scales, and is set with diamonds, iolites, peridots and tourmalines and has a suggested retail price of $299,500 (clearly that $500 less than $300k makes it much more affordable). 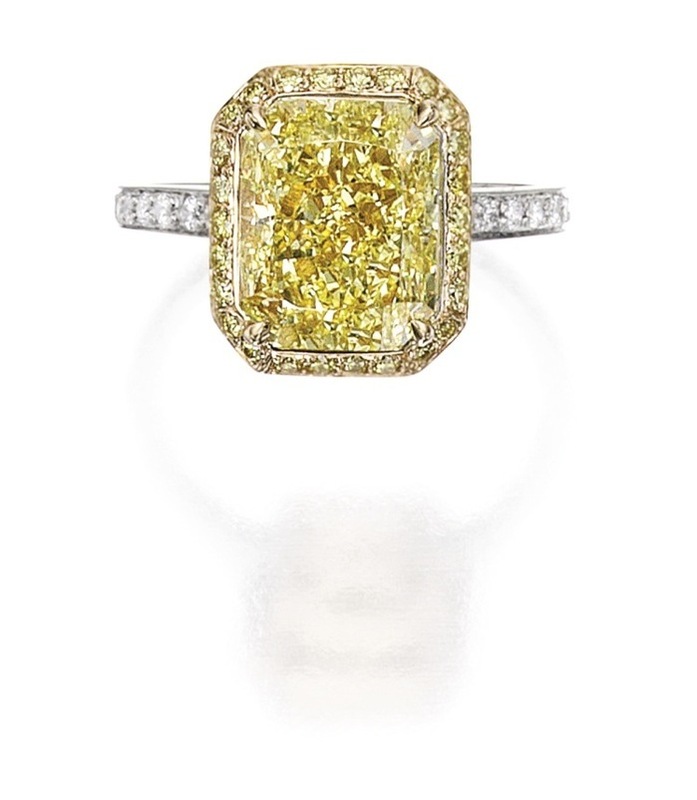 There's a matching bracelet and ring (MSRP of $30,000) as well. 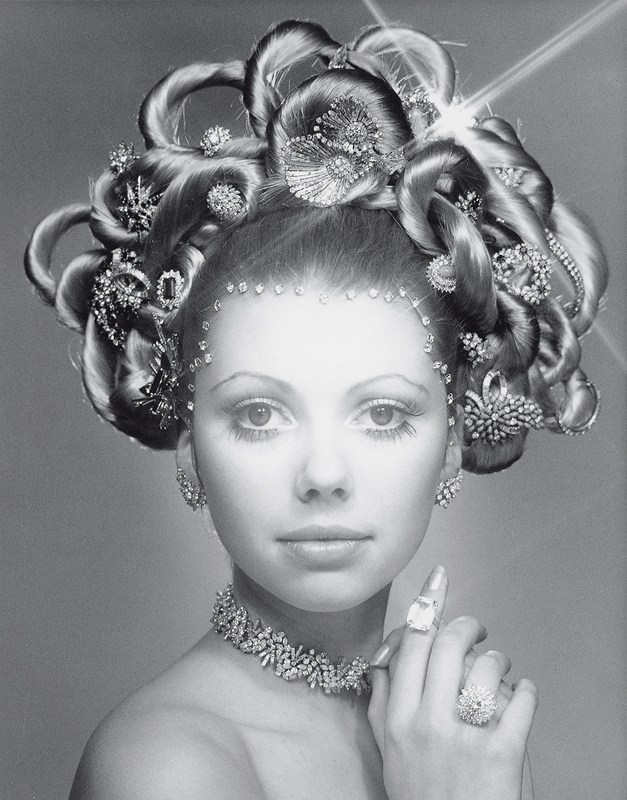 In 1970 the founder of Graff Diamonds (previously mentioned), Laurence Graff assembled 1/2 million dollars of diamonds on and around the head of a model for a photoshoot. Now, 43 years later, Graff has decided that was far too tame and has recreated the image with 1/2 billion dollars worth of the carbons in celebration of his 40th boutique and 60 years in the industry. 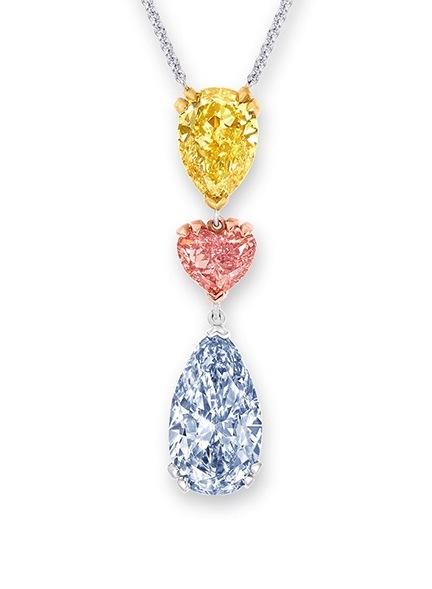 The Graff Sweethearts, a matched pair of heart-shaped 51.53ct and 50.76ct flawless diamond earrings. 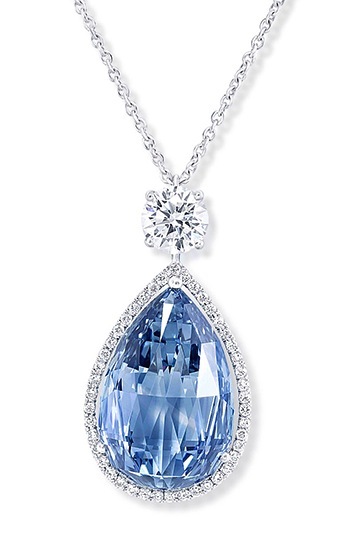 A 10.5ct vivid-blue briolette cut pendent, possibly the nicest use of that cut I've ever seen. In honor(?) of the release of Iceberg Slim: Portrait of a Pimp, the Diamond in the Rough company has released a line of Iceberg jewels. All of their work, as their clever name implies, centers on uncut diamonds (see previous), mostly working with the classical octahedral crystal shape. 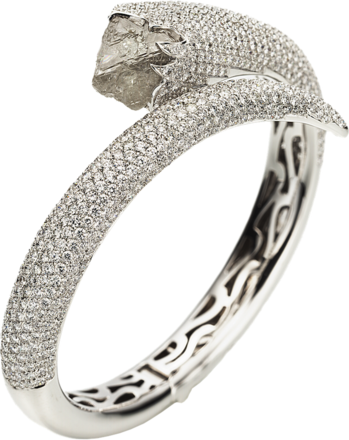 Assume, unless otherwise mentioned that the pieces are 18kt white gold and using briliant-cut white diamonds as accent. 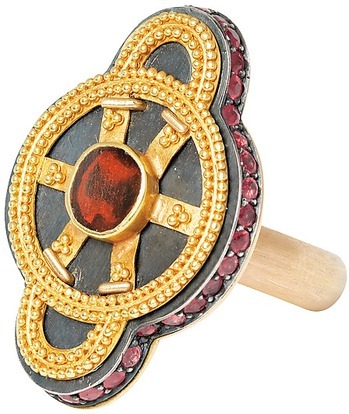 This page is an archive of recent entries in the Jewelry category.